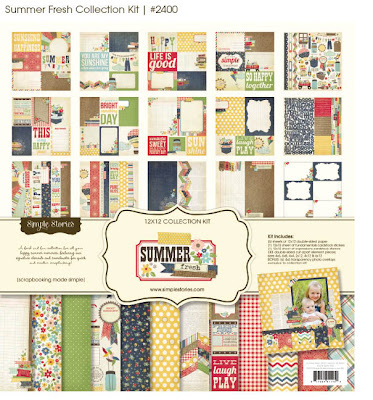 This month’s sketch challenge at The Urban Scrapbook included the wonderful “Summer Fresh” collection by Simple Stories. 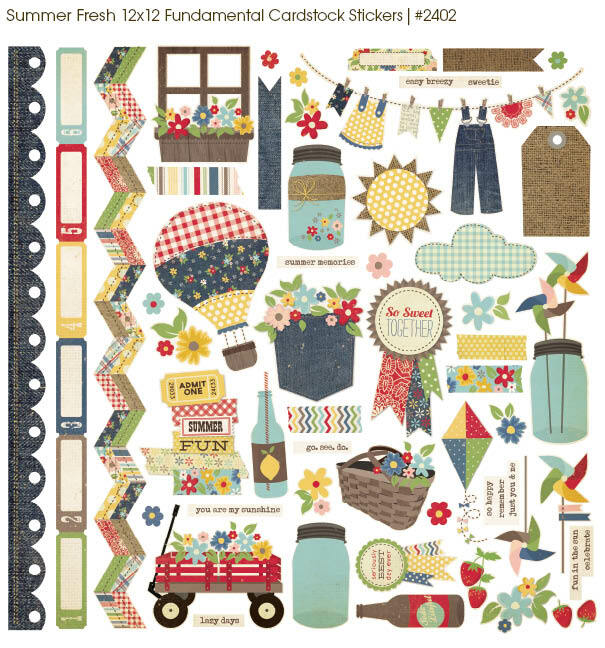 These sweet papers and stickers were so much fun to use and perfectly capture the essence of summertime, with its retro primary colour palette, mixed with denim, gingham and floral patterns. When I saw this collection, I immediately thought of scrapping this photo of BoyGenius, when he was about 3 years old. Being the oldest, he spent a lot of time with his Grandpa….and his Grandpa knew exactly how to keep this busy boy happy. For hours, my dad could entertain and play with BG and was one of the few people who understood how to manage my son’s mercurial temper and intense emotions. 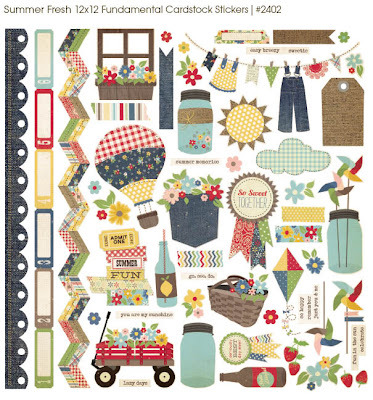 The sticker sheet includes these pieces of “washi tape”….so cute! 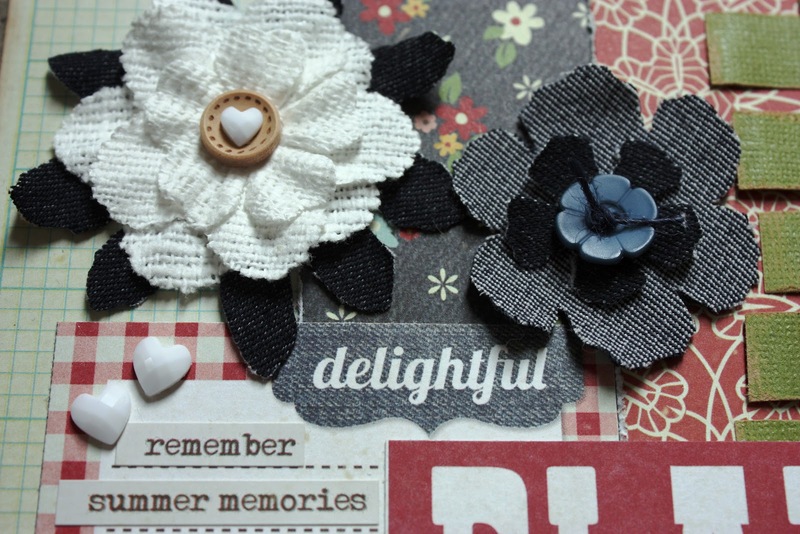 Jan rounded out this month’s kit by adding some die cut Sizzix/Tim Holtz Tattered Flowers, cut from a lightweight denim fabric. I layered them with the buttons, also included in the kit…. Both the tiny hearts and white canvas flower are Prima. 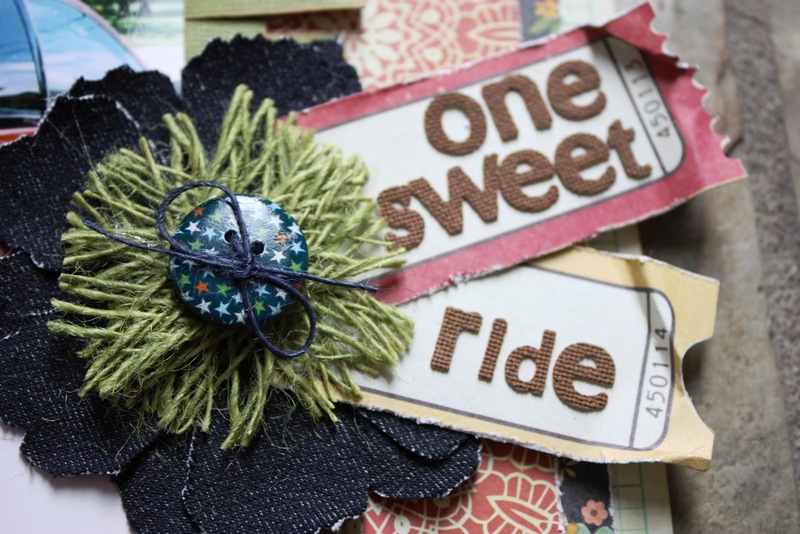 I cut and re-styled the green twine ribbon in the kit to make the centre of this flower…. These brown canvas alphabet stickers are Prima. Aren’t these SS stickers adorable? I have to be careful when I have a sheet of stickers in my hands….because I tend to want to use ALL of them! You can check out all the wonderful pages the Urban Design Team created with the July kit by clicking HERE and visiting the Urban Scrapbook Blog. These days, BoyGenius has his very own “sweet ride”….a used car we bought him last fall. And sadly, my dad’s “ride” is now a wheelchair, so their roles as driver and passenger are reversed. If only I could turn back the wheelbarrow of time…. Lots and lots of wonderful details on this page! 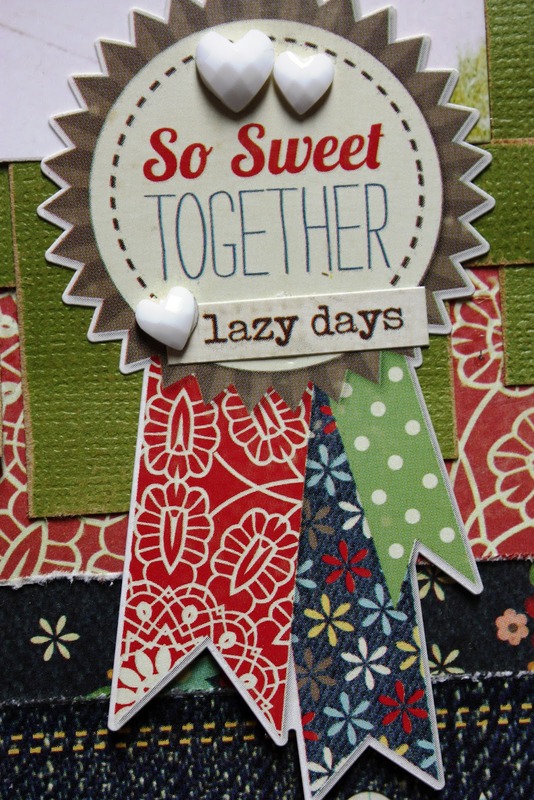 There’s a sweet, homey feel to this page with that woven background and handmade fabric flowers and it certainly complements and precious photo!! 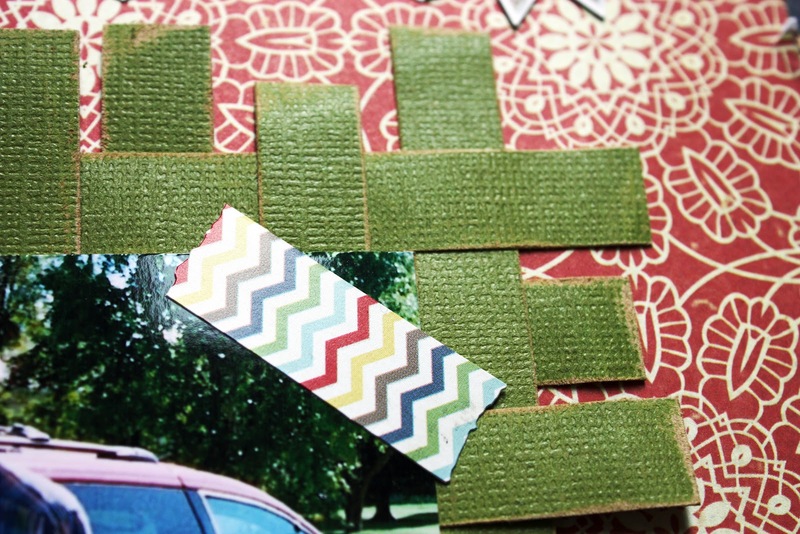 gorgeous layout, Kelly, especially love the weaving and what you did with the twine. And I know exactly what you mean about time and how rapidly our parents can age and have their health deteriorate. It’s good to capture the photo memories because often your kids will not remember when their grandpa was vigorous and fun to play with. What a gorgeous, fun and sweet layout! Love all the close ups of the details. The woven mat is really a great idea and looks fantastic on this layout! Hope you are having a great summer! Woow woow Kelly this is AMAZING girl!! very cool Kelly. Love the woven photo mat! very creative. Love those denim flowers… I just threw an old pair of jeans in the laundryroom waste basket …think I’ll go dig them out and drag out my tattered flowers die!!!! Love the buttons and picture with your Dad. I remember the very emotional page you did about him in Somerset Memories. Awww Grandpa’s are the beat!!! 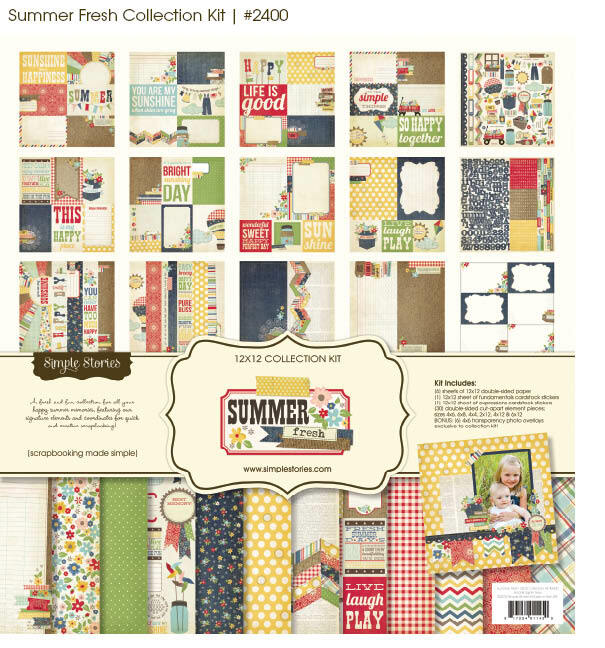 This page is just wonderful with the different paper patterns. You have scrapped these beautifully and love that pic!! I love your photo mat and the flowers. Such a nice layout that gives the “homemade” feel. Love your photo too. That’s such a wonderful photo, Kelly. It really made me smile. Then I got to the end of your post and nearly cried! You’re such a great writer. Beautiful work. Love your twine flower. So fun! I love this SS collection! Just a wonderful, wonderful, and very touching post, Kelly! And your page is amazing! I absolutely love it!!!!! P.S. I have been wondering how your dad is doing, Kelly, and continue to keep you all in my prayers!